Texel is the largest of the Wadden Islands (or Frisian Islands) in the North Sea and is 25km long and 9km wide. Accessible by ferry, it is located only 3km north from the Dutch mainland. With its pristine white sandy beaches and nature reserves, Texel (pronounced Tessel) is a popular weekend and holiday spot for Dutch and Germans. Texel is well known for sheep farming and is renowned for the quality of its lamb. The main town on the island is Den Burg, which is located centrally. Here you will find the town hall and reasonable shopping facilities including a market (Mondays), various supermarkets and specialist shops. De Koog is a town located near the west coast and has a selection of cafe terraces, restaurant and a few nightclubs. De Cocksdorp is a picturesque small town at the north of the island. National Park Dunes of Texel (Nationaal Park Duinen van Texel) – The park is located on the entire western coast of Texel and covers some 43 km2. These beautiful grassy dunes and salt marshes attract migratory birds, particularly around the De Slufter estuary. The best way to visit the park is on foot or by bike through the numerous trails and paths. There are no entrance charges. 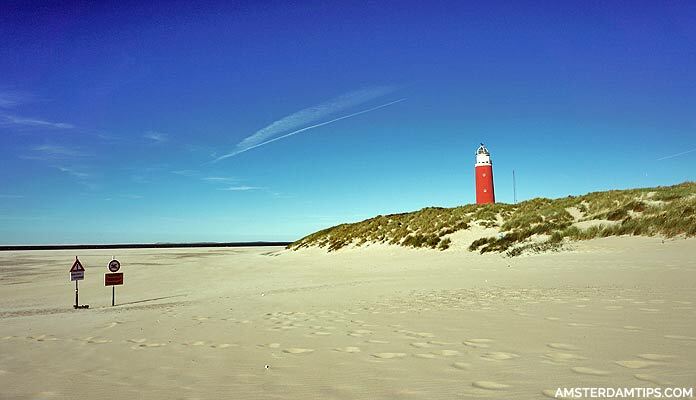 Beaches – Texel has 30km of numbered sandy beaches mainly located along the western coast. Some have lifeguards on duty between March and September. Our favourite beaches are Paal 28 (at Krimweg) and Paal 31 (Vuurtorenweg). Most beaches will have a pavillion cafe/restaurant. Texel Lighthouse – At the very north of the island lies the imposing Eierland lighthouse (Vuurtoren Texel). Historically this was the most dangerous part of the Dutch coast with scores of ships being lost by the mid 19th century. It was decided that a lighthouse should be built and the structure was eventually completed in 1864. The lighthouse was badly damaged during heavy fighting in the Second World War. It was rebuilt after the war but the damaged inner tower was kept as a memorial. The lighthouse is 35m high (47m above sea level) and is still in use although since 1990 it has been fully automated with no need for lighthouse keepers. You can visit the lighthouse which has a winding staircase with 153 steps (no lift) to the top with stunning views of the surrounding coast and dunes. Open daily 1000-1700 mid-February to October; Wed/Sat/Sun 1000-1700 rest of the year. Entrance is €4.50, children 0-3 free. Ecomare – This is a seal sanctuary and nature centre located right in the middle of the Texel Dunes National Park, not far from the town De Koog. The sanctuary cares for about 100 seals which are generally let back to the wild after recovery. The seals are fed every day at 1130 and 1530 with a presentation from one of the keepers. Ecomare also has porpoises, sea birds, a sea aquarium, whale skeletons and an Insect Hall. The Dune Park has 1.5km of walking trails and a children’s playground. Ecomare is open daily 0930-1700, entrance for adults is €13, children 4-13 €9, children 0-3 free. Kaap Skil – This is a Maritime and Beachcombing Museum housed in a modern glass structure cladded with reclaimed wooden beams. Located in the village of Oudeschild, it has a fine collections of beachcombing objects and dive finds. There is also a model exhibition about the Texel Roads (Reede van Texel), the offshore anchorage of Texel used by the Dutch East India Company as a departure point for expeditions to the Far East. Onsite is also the Traanroeier Mill which dates back to 1727. Kaap Skil is open 1000-1700 Tue-Sat, 1200-1700 Sun, closed Mondays. Entrance for adults is €9, children 4-13 €6.50, children 0-3 free. Novalishoeve – This is an organic social farm which provides opportunities for disabled people. 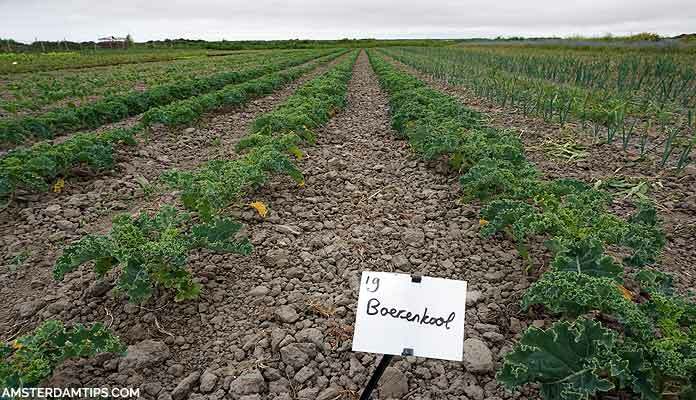 It is located just outside the southern town of Den Hoorn, not far from the ferry port. Visitors are free to roam the farm grounds. There is a farm shop and cafe which sells dairy, vegetable, meat and local products. It’s a great place for kids with a playground and selection of go-carts to get around on. Open 1030-1600, Mon-Sat, closed Sundays. Aviation and War Museum (Luchtvaart en OorlogsMuseum Texel) – There is a small museum at Texel’s airport which tells the story of the islands’s aviation history, particularly during wartime. Of particular note was the Georgian Uprising on Texel which was one of the last battles in Europe during World War 2. Local airline Tessel Air offers scenic flights above the island, parachute training, tandem jumps and flying lessons. 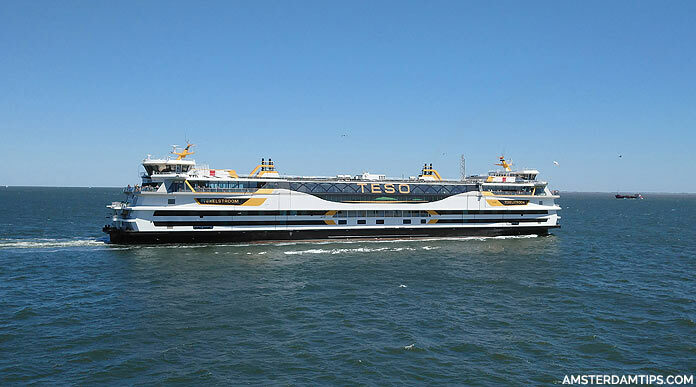 TESO (Koninklijke N.V. Texels Eigen Stoomboot Onderneming) operates regular ferries between Den Helder and Texel (Den Hoorn). The trip takes about 20 minutes. Foot passengers pay €2.50 return, a standard vehicle (including passengers) costs €25-37 depending on day of the week. The harbour is about 1km from Den Helder train station which is also served by Connexxion bus 33. Cycling is a great way to get around the island, although the winds can be very strong and hamper your efforts! The TexelHopper minibus service can take you to/from any one of the hundreds of pick-up points spread throughout the island. A single ticket is €3, day ticket €7.50 and week ticket €37.50. Rides need to be booked online or by phone. 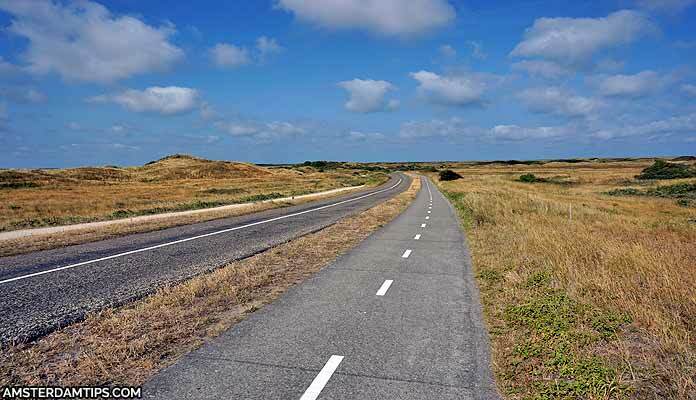 Texel Parking – Many people bring their own vehicle to Texel which gives the most flexibility. Paid parking (€2.50 per hour) is in effect across the island from 0800-2000. It is possible to purchase a digital parking card called the Texel e-vignette which offers unlimited parking at all official parking spots. It costs €7.50 per day, €15 per week or €20 for the whole year.